American Excellence and Model Car World are opening the flood gates. 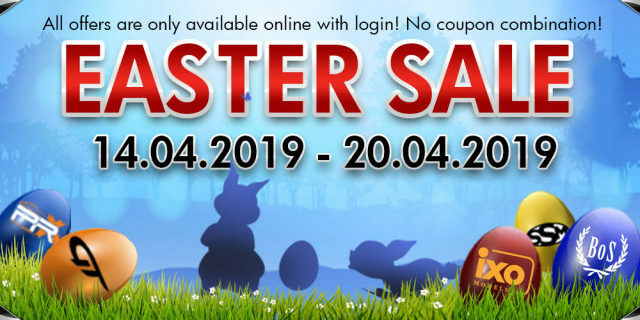 Let’s call it the Easter Week Sale! From April 14 to April 20 each outlet is offering eight different sales, all in combination. Shop early for the best assortment. Each brand and sale is defined below. Questions or comments, please contact American Excellence of Model Car World directly. Happy collecting!!! 5 Responses to "MASSIVE EASTER SALE!!!" The sale items fluctuate quickly. Had 4 items in cart just couple hours ago and discounts either disappear or prices gone back up in matters of hours. Also, no delivery to POs. Not sure what you are referring to??? We heard back from the team. Seems there were a few glitches in execution, they assured us all is corrected now. Cheers.